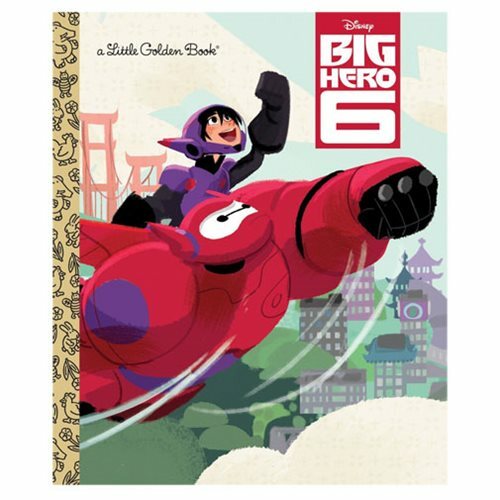 Big Hero 6 features brilliant robotics prodigy Hiro Hamada, who finds himself in the grips of a criminal plot that threatens to destroy the fast-paced, high-tech city of San Fransokyo. With the help of his closest companion—a robot named Baymax—Hiro joins forces with a reluctant team of first-time crime fighters on a mission to save their city. Children ages 3 to 7 will love this Little Golden Book based on the Disney film. The 24 page book measures about 8-inches tall x 6 7/10-inches wide.